You are only one step away from unlocking new levels of maturity and growth for your church. You are more apt to join a small group if you are personally connected to a group member. There are no “silver bullets,” or magic solutions, for a church’s groups ministry. We must be wary of the existence of “discipleship whiplash” within our church and group leaders. Sometimes a church’s metrics to determine growth are more harmful than helpful. We must view goals for our small groups as means, not ends. GUEST: Daniel Im is the Director of Church Multiplication for newchurches.com and LifeWay Christian Resources and serves as the teaching pastor at The Fellowship, a multisite church in Nashville, TN. Daniel is the coauthor of Planting Missional Churches. He has an MA in Global Leadership from Fuller Theological Seminary. You can find him at danielim.com. His latest book, No Silver Bullets, discusses the five small shifts that will transform your ministry. The fulfillment of that promise began weeks later. While Jesus’ disciples were praying together, God’s Holy Spirit came to them and filled each person with spiritual power. Inspired by this power, Peter proclaimed the message of the gospel to the people of Jerusalem. More than 3,000 people responded by choosing to follow Christ. What do you find most interesting about these verses? Identify the different ways the early church members engaged one another. Which of these excites you most? Why? It’s common in today’s culture to associate the concept of “church” with a physical structure. When we think about church or about “going to church,” we often see images of brick buildings, steeples, sanctuaries, parking lots, and so on. It’s also common for people to think of “church” as something that Christians do. We often make a connection between the church and the practices that are common in church buildings—sermons, worship songs, Sunday School, and more. Each of these associations is understandable, and each does point to the truth. Ultimately, the church involves much more. How would you describe your past experiences with church? In reality, the church isn’t a building or a collection of physical structures. Instead, the church is a collection of people. It’s a community. In a similar way, the church isn’t what we do, but who we are as followers of Jesus. Here’s a definition: the church is the community of people who follow Jesus Christ as Lord. How do you respond to the above definition of church? This was an excerpt from Disciples Path: The Journey, Volume 1 Session 5. SUMMARY: On this week’s episode, Brian and Chris sit down with Stephanie Nichols, the Central Groups Director at Cross Point Church in Nashville, Tennessee. With five campuses, Cross Point is a multi-generational church with 250 small groups across all campuses. Stephanie provides vision and leadership to all directors. 90 percent of Cross Point’s groups meet off-campus. Brian, Chris, and Stephanie discuss how to keep momentum during holidays and breaks. According to Chris, “Stopping and starting [groups] builds momentum.” Stephanie adds some advice for those who oversee the small groups in their church: “If your leaders are tired, then they need a refresh. But if your leaders are not losing steam, then try to vary meetings and not meet every single week.” Other ideas for refreshers include coffee dates, holiday parties, and dinner gatherings after groups. Stephanie affirms that the social aspect of small groups is important to foster community. The three also discuss how to disciple groups during the holidays—including accountability, prayer requests, get-togethers, and book clubs. Ephesus had become a second home for Paul, but now it was time to move on. From the port city of Miletus, about 30 miles from Ephesus, Paul sent for the Ephesian church leaders to gather for his parting address to them. He began by recounting past experiences with them. He emphasized ministering in the church with humility, passion, and boldness in the midst of conflict (Acts 20:19-20). He recalled how he had faithfully witnessed to unbelievers about their need for repentance and faith (v. 21). After reflecting on the past, Paul then turned his attention to what lay ahead. In spite of the potential dangers, Paul decided to return to Jerusalem (vv. 22). He made the decision before he left Ephesus, and no one was going to change his mind. He reminded the Ephesian leaders that the Holy Spirit was pushing him to go to Jerusalem. The apostle was unsure about what lay ahead for him. The only thing he knew about his future was that he would go to Jerusalem, that he would faithfully share the gospel, and that he would face opposition once in Jerusalem. The Holy Spirit had already told Paul that chains and afflictions were awaiting him once he arrived in Jerusalem. On multiple occasions while on this specific trip, Paul had received warnings about going to Jerusalem. Luke recorded two specific warnings—one in Type and the other in Caesarea (21:4,11-12). The Holy Spirit was preparing Paul for what he was about to endure for the sake of the gospel. But Paul was all in. The warnings did not keep him from doing what he knew was required for the sake of the gospel. As Paul considered the cost of obedience, he realized that the greater cost would be found in failing to share the gospel. He had already been crucified with Christ (Gal. 2:20). He was ready to sacrifice his life for the sake of the Christ, calling his life of no value when compared to the gospel (Acts 20:24). When writing to Timothy, Paul compared the Christian life to running a race (2 Tim. 4:7). In this passage as well, he compared his ministry to running a race (Acts 20:24). To win the race, the runner must stay the course and keep running. Runners endure the pain of the race not just to run, but also to finish and to do so well. Paul knew that only through finishing well would he find true satisfaction in this life. Paul’s ministry was summarized as a testament to the gospel of God’s grace (v. 24). He spent his life telling others about God’s grace, found through faith in Jesus. It was the gospel of grace that made the potential adversity worth it. How does understanding the value of the gospel give a person the strength to endure difficulties that result from the gospel? Most of us have found common ground with someone and have experienced how it brings down walls. Common ground can be found in the most mundane places—people who grew up in the same area or who went to the same high school that we did, people who live in our neighborhoods, people who like the same food that we do, or people who root for the same sports teams. We may know nothing else about a person, but if we have common ground in just one area, we are more open and friendly with them. Common ground counts for a lot. In his speech, Paul affirmed the Athenians’ obvious desire to know and serve God—he met them on their place of common ground. But Paul also argued that it was wrong to think that God is something that we create, or that He lives in houses we build for Him. Paul was not demonizing the Athenians; he was suggesting that they misunderstood God’s nature. What’s most notable about Paul’s speech is what he did not say. Paul did not quote Scripture. He did not mention the Messiah or the name of Jesus. That sort of thing would be a perfect strategy for a Jewish audience, who would be familiar with the Old Testament. But this was not the synagogue. This was an illustrious council of Athenian thinkers who were probably unfamiliar with the Jewish Scriptures. Paul knew this, so he sought common ground elsewhere. This was an excerpt from Ryan Lokkesmoe’s small group study, Paul and His Team. Session 1. Series and study are available exclusively at smallgroup.com. Traditionally, most churches have always had some form of discipleship in a smaller context than corporate worship time with an adjacent sermon. What you call your small groups may differ depending on the culture, age, and context of your church, but it’s likely you call them Sunday School classes or Small Groups. Many newer churches play off of “Small Groups” and call them “Life Groups,” “Connect Groups,” or something of the like. It’s definitely important for you to have some form of one-to-many groups setting where a leader other than the pastor can aid in the spiritual maturation and disciple-making process of those in the church. But for the last several years, we’ve seen a surge in closed groups. Closed groups are just what they sound like—they’re closed for a season to allow members of the group to study God’s word together. Oftentimes, it is very difficult for individuals or couples to join a closed group, most likely due to the nature or context of the curriculum that group is studying. For example, LifeWay has a discipleship curriculum called The Journey. The study was designed to be progressive in nature, meaning that what a group studies in week seven builds on what they studied in week six, and so on. That makes it difficult for new members of your church to grasp what was taught early on in that group. So for this reason, churches will usually close groups one or two weeks into a new study and remain closed until the study concludes. 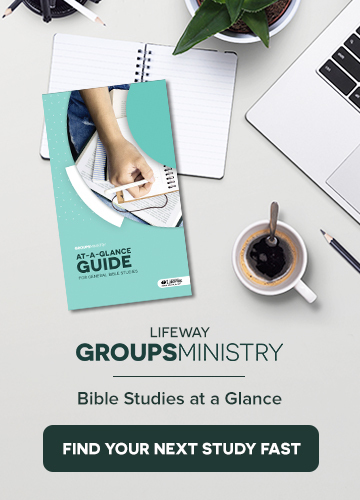 This usually works best for groups that meet in homes each week who are studying very specific topics, or areas of Scripture that are progressive in nature. In contrast, open groups are groups that likely meet on campus on Sunday mornings before or after the worship service. Oftentimes, open groups meet to further discuss what the pastor preached on just a few short minutes before. Another example would be a study through the Gospels, identifying similarities and subtle nuances between them. But this way of studying Scripture is much different than that of closed groups. If you have Sunday School on Sunday mornings where you have visitors who regularly attend your church and are looking to get plugged into a class, open is usually the way to go. Try to have at least one open group for each age group. You don’t want to sacrifice any sense of community to potential members. On the other hand, if your groups meet during the week in homes, I would advise a closed group strategy. If you’re doing 6-week short-term studies, a break between each study is an ideal time to invite new folks from your church to attend the next study. Regardless of how or where you land on the spectrum, make sure you make guests feel welcome. Encourage your group members to reach out to newcomers. Consider having some appetizers, muffins, or danishes, and some juice or coffee. Once a quarter or so, try to get together outside of the context of church and have fun with each other. It will help with the sense of community.